This piece was inspired by a watercolor painting. I created it specifically to demonstrate to students that my quilts can be designed and on the wall in six hours or less! If you have wonderful fabrics to work with, half of your work is done! 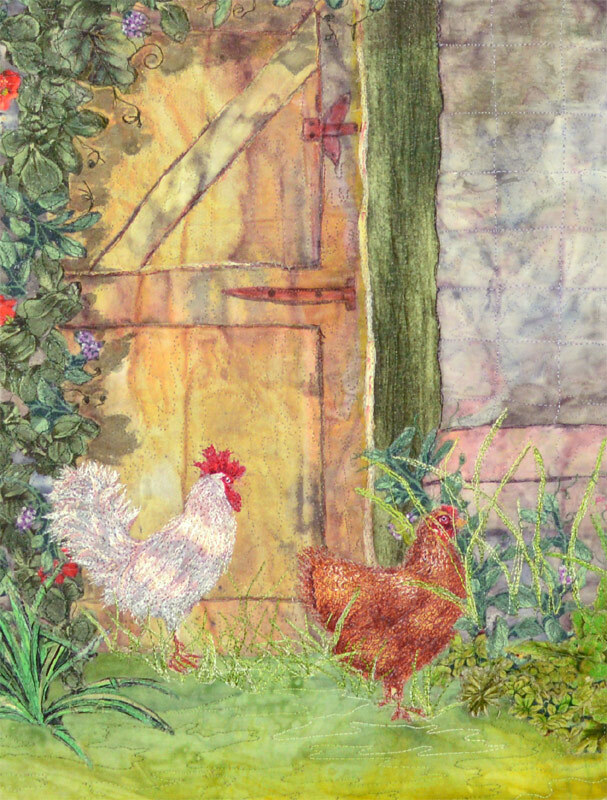 In this case, I used two of Mickey Lawler’s SkyDye fabrics for both the wall and the door and a wonderful hand-dyed fabric by Judy Robertson (Just Imagination) for the foreground. I took it step further and painted shadows on the wall and on the door to give the implication of the leaves in shadow. I wanted a white chicken in my quilt so I painted a brown one white with textile painted and added decorative thread to enhance the chicken feathers. Although this quilt was quick, it is one of my favorites. 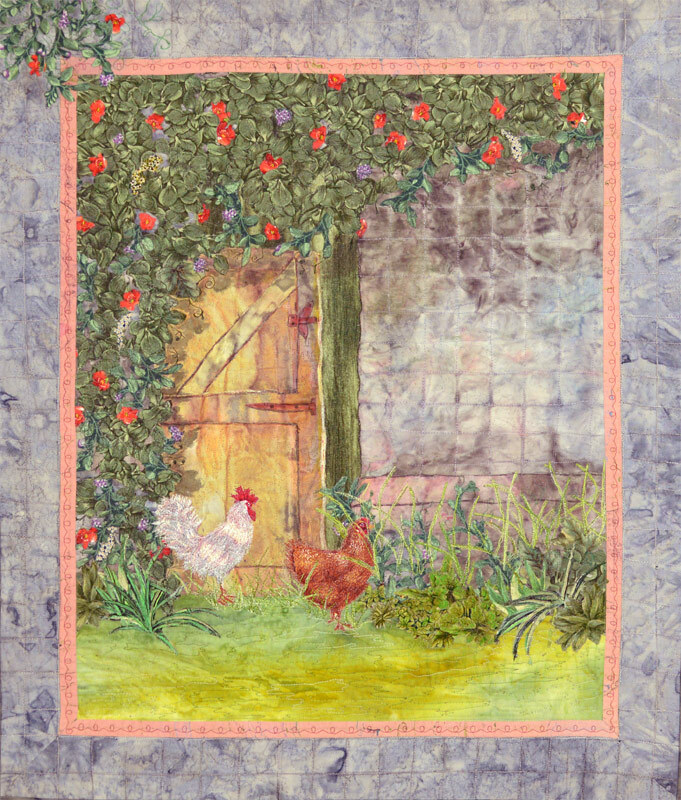 This quilt is featured on the cover of my Luscious Landscape Quilts book.